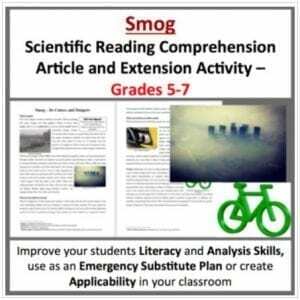 Climate Change and Global Warming Unit – This Unit will take place over 2-3 weeks and includes a MULTI-DAY lesson (student and teacher versions of the PowerPoint), a Climate Change Bell Ringer activity, FIVE videos, a debate assignment, a Climate Change research activity, 1 Test with answer key, and a student lesson handout as a word document. 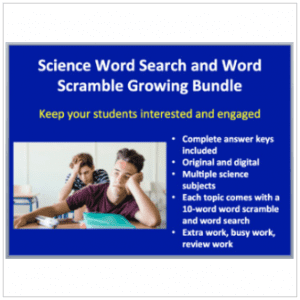 The PowerPoint is fun and applicable with THREE videos embedded into the PowerPoint and many opportunities for inquiry-based learning and discussion. Designed for Middle/Secondary classes but can easily be adapted to fit an Elementary classroom. 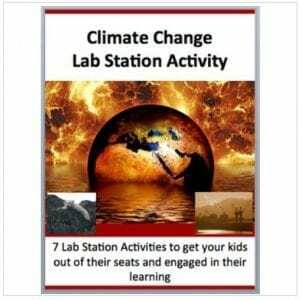 This activity can also be found bundled at a significant discount, in my Climate Change and Global Warming – Complete 5E Unit Bundle. If you’d like to take a look, please CLICK HERE. The minds-on inquiry activities are meant to break down student misconceptions and help guide them to the correct concepts. 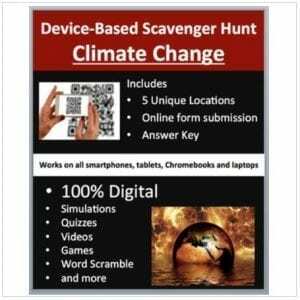 You might also be interested in the following activities as they relate directly to Climate Change.